The right retreat gives you the experience you most need to ignite your creativity in a new and lasting way. Creativity and innovation are the currency of our age. Whatever your job, creativity is how you solve intractable problems, generate fresh work, thrive in a tough economy, stand out from your peers, make customers happy, and boost a lackluster life. That puts a lot of pressure on us to be more creative, and fast. But saying “Be more creative!” is like asking a cow to moo—and moo beautifully, uniquely, lucratively, disruptively, right now. It doesn’t work. So what does work? Finding and embracing the conditions you need to rediscover and build your creativity. And nothing does that better than a well-chosen retreat. More than a vacation, a retreat is an intentional break from the daily crush of obligations. Retreats take place around the world, last anywhere from three days to two weeks, and center around everything from writing to whale-watching to community service. 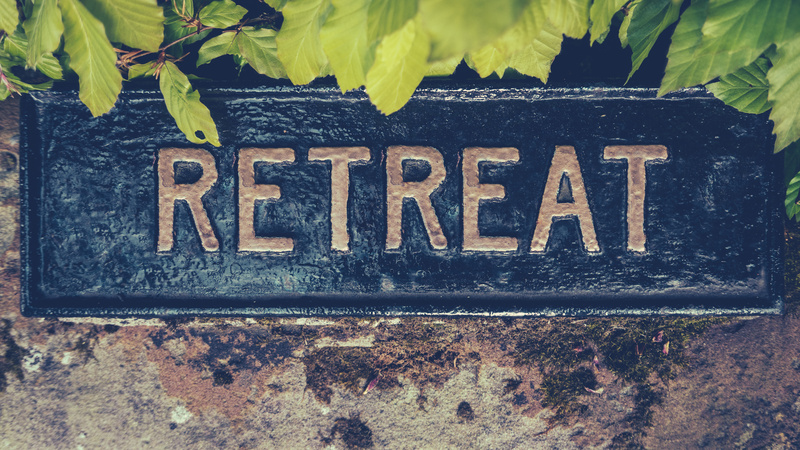 The right retreat gives you the experience you most need to ignite your creativity in a new and lasting way. Below are six hidden-gem retreats that offer the spiritual fuel, wild imagination, nature adventure, service, or just plain silence that you need to connect with your creativity. Sunrise Springs, housed on 70 gorgeous acres, immerses retreat-goers Eastern and Western healing modalities. Seasoned guides lead Native American ceremonies and teachings that illuminate and clarify your sense of self, while integrative medicine specialists are on staff to help you address health and wellness needs. This resort is also one of the only resorts in the U.S. to offer animal therapy. You can spend your days doing yoga, exploring expressive arts, cuddling with puppies, soaking in mineral springs, cooking and eating farm-fresh food, and enjoying spa services. Rates from $170/night. Gateless Writing Retreats are ideal for people from all walks of life who are hungry to reconnect with bone-deep, ecstatic creativity. For these luxurious four- to six-day retreats, two-time critically acclaimed novelist and longtime developmental book editor Suzanne Kingsbury combines a distinct methodology of creative brain science with salon-style writing and meditation sessions. An on-staff massage therapist provides daily Reiki and Thai head massage, and a private chef creates farm-to-table meals. The only rule on a Gateless Retreat? No criticism. Participants describe these retreats as a life-changing supercharge for the creative brain. Three retreats are currently scheduled for 2018. All-inclusive rates from $950/retreat. Springwater offers a silent retreat without a rigid schedule. Whether you plan your own stay or join one of their four annual Quiet Weeks, you can participate in a daily schedule of meditations as you wish. You only have to stay silent during silent times and contribute an hour of work per day. The rest of the time is open to wander through forests and meadows on 220 acres of countryside, eat vegetarian meals, meditate, or meet with the spiritual advisors in residence. Springwater is open to all faith and meditation traditions. Rates from $72/night. Sea Quest curates every sea kayaking expedition into a custom outdoor adventure and learning experience. Biologists and environmental scientists who are also highly-trained outdoor educators and sea kayak guides, lead you to orca whales in the San Juan Islands of Washington, the humpbacks in the Inside Passage of southeast Alaska and the gray and blue whales in Baja. Best of all, you don’t have to be a kayaking expert. You don’t even need to know how to swim! The only prerequisite is a healthy spirit of curiosity and adventure. Rates $85/half day to $899/week. The four-day Women in the Wild retreats are an astounding way to spelunk the soul while getting your adventure on. Participants discover soulful and honest community, connect with their sense of purpose and meaning, and dive into mind-bending natural beauty. Leader Sarah Byrden infuses the expedition with practices of MogaDao Sacred Daoist Sexuality and Archetypal Qigong, nature-based ceremony, creative writing, and more. No backpacking experience is necessary, but the trip does require physical fitness—a typical day includes six miles of mountain hiking with a 40-pound backpack. Inquire for rates. Habitat for Humanity is well known as a home-building organization. But few realize that you can do more than hammer when you go on an eight- to ten-day Habitat travel retreat. You might advocate for equitable housing policy, assist in disaster recovery, contribute to energy efficiency projects, or work with children or the disabled. Whatever you do, you join a tribe of people who find creativity and meaning in service. 2018 retreat destinations include Guatemala, Nepal, Hawaii, and Vermont. Rates from $1675/trip. Becky Karush runs BeckyK Creative, which specializes in copywriting for businesses and nonprofits working to achieve positive social change. She lives in New Hampshire with her family, an old dog, and two clever rabbits. What would an epic creative retreat look like for you?